The finalists for the European Contact Centre and Customer Service Awards (ECCCSAs) 2018 have been announced and there are some surprises, as well as familiar names, in the line-up. Addison Lee and esure are finalists in the Large Contact Centre of the Year category whilst The AA and Nissan are in the running for Small Contact Centre of the Year. 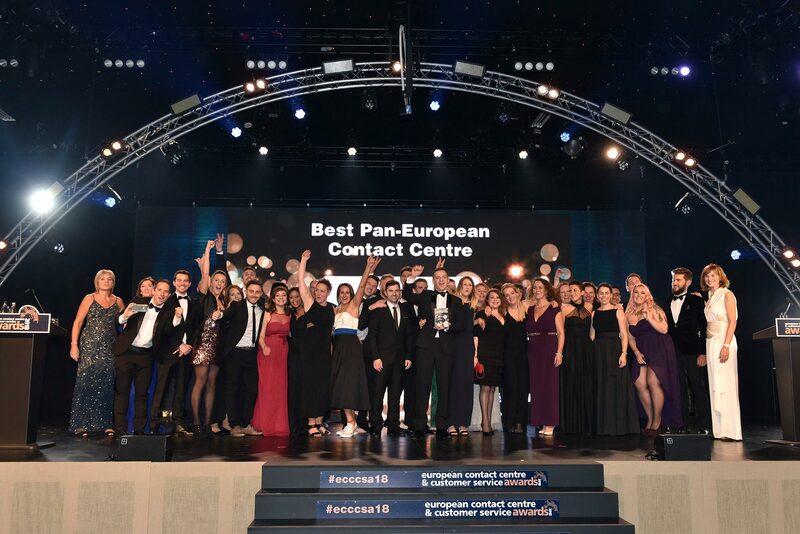 Booking.com and ServiceSource are amongst those shortlisted for the new award for Best Pan-European Contact Centre, with Affinity Water and ABN AMRO up for Best Customer Insight Initiative. This year has seen the number of countries entering these prestigious awards grow with nominations from across Europe including Bulgaria, Czech Republic, France, Germany, Greece, Lithuania, Netherlands, Romania, Spain, Sweden, Turkey and across the UK. To see the finalists, by category, visit www.ecccsa.com/2018-finalists. The winners will be revealed at an extravagant Awards Evening on Tuesday 27 November 2018 at Evolution in London’s Battersea Park in front of over 1000 industry professionals from across Europe. Tickets are now on sale at https://www.ecccsa.com/book-table.